Looking for aviation books? Biblio.co.nz hosts hundreds of of the finest online book stores and booksellers, including specialists in aviation. Use the list below to locate a specific specialist bookseller or book store near you. Or, use the form below to search the inventory of all booksellers who specialize in aviation. 20th Century first editions with some older items. Specialist areas of interest include Russian literature, Irish literature. 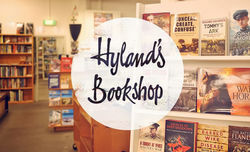 Specialist bookseller covering all areas of military history.